As the Dragon Castle crumbles, opportunistic lords seek to lure people to their realm. By constructing a new palace from the ruins of the old, they hope to become the new center of power. 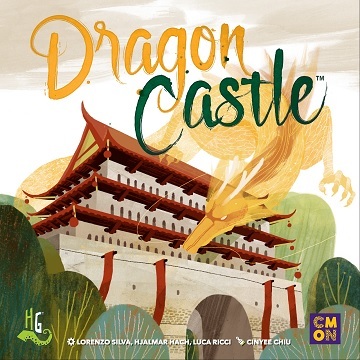 In Dragon Castle, you take on the role of one of the lords. You will have to use all of your cunning to build a castle that will inspire people to move to your realm. Each turn, you can collect tiles from the ruins and add them to your construction. As you place sets of the same type of tiles together, you’ll be able to consolidate them, earning points and allowing for the addition of Shrines. You may need to call in some help with your efforts. Spirit and Dragon cards can be used to give you an advantage when you need it most. Tap into tradition to build the castle of the future.